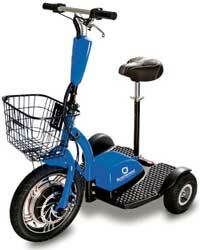 Comprehensive programs to meet all your visitors’ mobility needs and ADA guidelines. Scootaround partners with convention centers throughout the USA to manage mobility programs, meeting Americans with Disabilities Act (ADA) requirements and ensuring every visitor is able to enjoy their time at your venue. We offer scooter fleets, rental programs, transport services, and assistive staffing and handle all the details, including repairs, with the expertise and professionalism that comes from years of convention, meeting, and event experience. EVENT PLANNERS: To help you navigate the large areas at your venue, we can also provide Event Planners with a Standup Scooter to help you get around quickly. Click Here to learn more about this scooter. We can help with one-time rentals or work with you to create a contract that addresses all of your venue's ongoing personal transport vehicle needs.